CSS Richard-Toll, based in Richard-Toll, became number four in Poule A of the Senegalese Ligue 1. Richard-Toll is in northern Senegal and the town’s main industry is sugar. CSS stands for “Compagnie Sucrière Sénégalaise” and the football club is strongly connected to this company, a major employer in the district. CSS Richard-Toll is a rather experienced side. Their first choice goalkeeper is Amadou Ba while Aly Ka provides backup. Mame Assane Diagne, formerly of the Senegal B national football team, is the regular left-back at the club. The key man in defence is the giant centre-back Ferdinand Gomis, widely considered as one of the best defenders in the league. Gomis has also played regularly for the Senegal B national football team. Souberou Ba is another defender playing regularly. Idrissa Niang is often captaining the side and the defensive midfielder can apparently also play in central defence. Niang is often playing alongside veteran midfielder Pape Kaly Koné, who was once known as Alkaly Fané. Jean Stéphane Yao Yao, the petit (161 centimeters) Ivorian playmaker, formerly of FK Lyn Oslo (Norway) and UMF Selfoss (Iceland), has done extremely well since joining CSS. Yao Yao has become the favorite of the fans with his skills and dribbles. Yao Yao can play behind the strikers but can also attack from the flanks. The picture is of Yao Yao and was found on fotball.bt.no. Alpha Oumar Diallo is a veteran playmaker who can also play as a centre forward. Up front, the main striker at the club is Mamadou Fall, a very quick player formerly of Renaissance Sportive de Yoff. Fall is usually partnered by Ousmane Hanne, formerly of AS Douanes and UCST Port Autonome. Makhète Ndiaye is a veteran striker who has played professionally for Wydad AC Casablanca from Morocco. Ndiaye played for CSS back in 2000, becoming top scorer in the Senegalese Ligue 1. 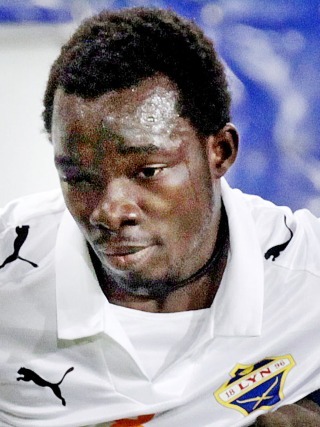 Please note that the goalscorer of CSS Richard-Toll on 07.04.2012 against ASC Yakaar is still unknown. Please note that the goal scored by CSS Richard-Toll on 08.01.2012 against ASC Yakaar was an own-goal. Tobie Julien Ebah has been a revelation for New Star de Douala during the MTN Elite One 2012. At the time of writing, Ebah has scored six goals according to www.journalducameroun.com but seven goals according to www.elitefoot.net. My first record of Ebah is from September 2006. At the time, Ebah was part of the Cameroon U-17 national football team, playing for amateur club Vogt AC de Yaoundé. This implies that Ebah is most likely born in 1990 or 1991. In 2008 and 2009, Ebah played for another amateur club called Ouaragan de Yaoundé. Ebah joined Astres de Douala, most likely in 2009, and played regularly throughout the MTN Elite One 2009-2010. Ebah was one of the revelations of the season and this was not unnoticed by the Fédération Camerounaise de Football. In July 2010, Ebah was named in the squad of the Cameroon U-23 national football team. In August 2010, Ebah was named in the squad of the Cameroon B national football team for the 2010 CEMAC Cup, a football tournament for local league players from various West African countries. It’s my impression that Ebah struggled a bit during the MTN Elite One 2010-2011. I am able to document that Ebah scored one league goal during the season. Ebah joined New Star de Douala before the MTN Elite One 2012. It is not easy to find information about Ebah as a player. He is referred to as both a midfielder and an attacker and I believe he is a skillful player with intelligent passes. I know that he has several assists to his name this season. The full name of Ebah is “Tobie Julien Jerome Ebah”. 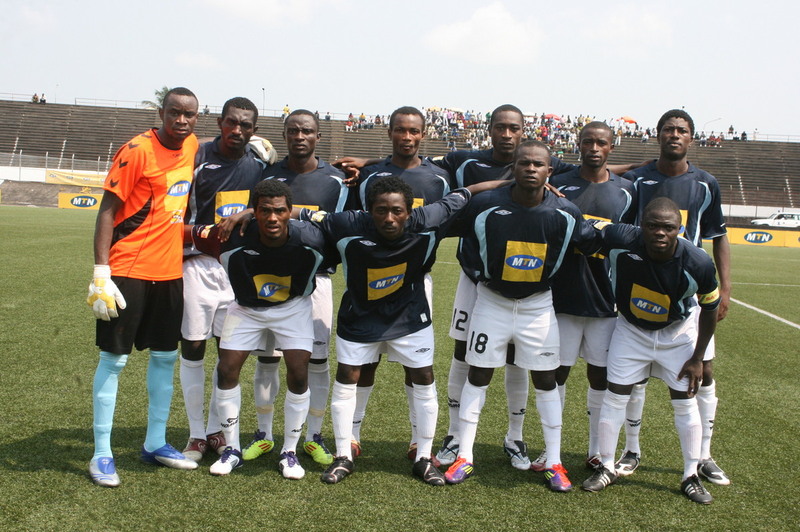 The picture is a team photo of New Star de Douala and was found on hervevillard.over-blog.com. 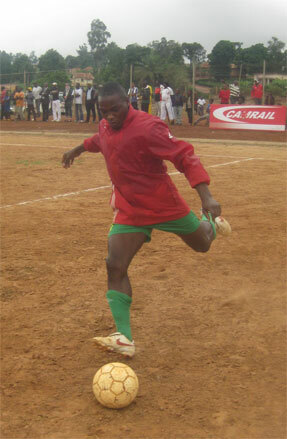 At the time of writing, Thierry Makon Nloga is the top scorer in the Cameroonian MTN Elite One 2012. Makon Nloga is playing for New Star de Douala, currently number five in the league. New Star de Douala is a newly promoted team, consisting of several players with experience from the top level of Cameroonian football. Makon Nloga has scored 10 goals during the first 15 rounds of the league, which is quite impressive by Cameroonian standards. What makes this achievement even more impressive is the fact that Makon Nloga is a midfielder by nature. My first record of Makon Nloga is from the MTN Elite One 2007. Makon Nloga was playing for Aigle Royal at the time. The following season, the MTN Elite One 2007-2008, Makon Nloga played for Caiman Club. Caiman Club was relegated after the season. I know that Makon Nloga played for Caiman Club at second level of Cameroonian football in 2009-2010, most likely in 2008-2009 as well. According to www.footcameroon.com, Makon Nloga has played for Canon de Yaoundé at some point but I am not able to find information about this. Apparently, Makon Nloga has also played in Equatorial Guinea. In 2010-2011, Makon Nloga was back in the MTN Elite One, being a regular midfielder for Caiman Club. Again, Makon Nloga experienced relegation. Interestingly, I have no record of Makon Nloga scoring any goals during the MTN Elite One 2010-2011, quite surprisingly since he was a key player and arguably one of the club’s top performers. Makon Nloga signed a contract with New Star de Douala before the MTN Elite One 2012. He made his official debut for his new club on 22.01.2012. As already mentioned, Makon Nloga has traditionally been used as a midfielder. At New Star de Douala, he has been given an attacking role, playing as an attacking midfielder or as a second striker. Apparently, Makon Nloga has a cultured left foot and is a hard-working, disciplined player with not only 10 goals to his name, but several assists as well. Makon Nloga is fondly referred to as “Fernando Redondo”, the defensive midfielder from Argentina. Unfortunately, there is some confusion regarding the age of Makon Nloga. According to www.lechabba.com, usually a trustworthy source, Makon Nloga is born 09.10.1983. This information was published during the MTN Elite One 2010-2011 when he was playing for Caiman Club. Unfortunately, www.lechabba.com is currently unavailable. 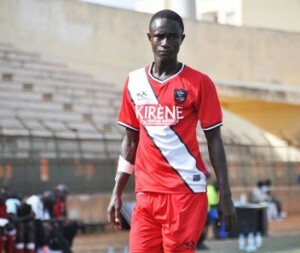 According to www.footcameroon.com, also a respectable website, Makon Nloga was 20 years old in April 2012. When star player El Hadji Baye Oumar Niasse travelled to Norwegian outfit SK Brann on a loan deal, US Ouakam had to find a replacement. It turned out that the right player was already in their squad, namely youngster Matar Moussa Diagne. I believe it is fair to say that Diagne has been one of the revelations of the Senegalese Ligue 1 2011-2012. Diagne has been described as a “playmaker” and as the “leader” of the attack at US Ouakam. He can play as an attacking midfielder, as a winger or as a striker – basically the same positions as Niasse. Diagne is a creative player with an eye for a goal. Diagne is a product of the so-called Collège Africain Sports Etudes (CASE). The ambition of the college is to offer African youth the opportunity to realize an academic background while practicing a variety of sports, including football. Diagne played approxiately 14 matches for US Ouakam when the club won the Senegalese Ligue 1 2010-2011 last season. Diagne scored one goal during the season, on 01.08.2011 against US Gorée. The current season has been a breakthrough for Diagne. He has played regularly, most likely 12 of the 17 matches played at the time of writing. Diagne has scored four goals so far. In February / March 2012, Diagne played for US Ouakam in the qualifying round of the 2012 CAF Champions League, gaining experience. During the season, in April 2012, Diagne was named in the squad of the Senegal U-23 national football team. Later the same month, Diagne was also picked for the Senegal U-20 national football team. The birthdate of Diagne is not known. I have previously written that Diagne is born in 1992 but I have doubts about my sources. He could possibly be even younger. Niasse was no success at SK Brann and will now return to US Ouakam – perhaps in a different role as Diagne seems to be the new kid on the block. The picture of Diagne was found on carrapide.com. With 26 points from 14 matches, Panthère Sportive du Ndé is the current leaders of the Cameroonian MTN Elite One 2012. In this post, I will take a closer look at this exciting team. Panthère Sportive is from Bangangté in the central-western part of the country. matches. The first choice goalkeeper is Alain Tchoumte (born 08.06.1992), widely considered as one of the best in the league. Tchoumte is rather small for a goalkeeper (178 centimeters) but compensates with excellent reflexes, strength and natural authority. Tchoumte is fondly referred to as “Araignée”, a French word for spider. Collins Maifanya (born 20.01.1991), who was first choice goalkeeper at Unisport FC last season, is backup to Tchoumte. The talented Maifanya would most likely play regularly for most other clubs in the league. Martial Kout Daleng (born 18.06.1986), formerly of Fovu Club and YOSA, is the regular left-back. Kout Daleng is an energetic, attacking-minded full-back. I believe Romain Armand Zanga Fouda (born 27.10.1988) is mostly found on right-back. The petit defender loves to join the attack and is quite skillful and exciting to watch. Gilbert Willy Tela Saah, most likely born in 1987 or 1988, signed from AS Lausanne de Yaoundé, is a great option at full-back. Bruno Rodrigue Meuteing Tchakounte is a regular central defender. Meuteing Tcakounte, signed from YOSA before the current season, is a true fighter with surprisingly good ball control and great pace. Meuteing Tcakounte is mostly partnered by the key defender Gerard Pahane (born 17.10.1981). The strongman is strong in aerial duels and has scored three goals so far this season. The experienced Rodrigue Feukou Kengne (born 08.03.1980) and Serge Brown Ngayaou (born 06.10.1980) can both fill in as centre-backs. Eugene Didier Talla Nembot (born 18.03.1986) is an intelligent midfielder with attacking qualities. Talla Nembot is often dictating the offensive play of the team, spreading passes to the attackers or wingers. Hamgue Armand Tchangue (born 28.11.1987), another new signing from Unisport FC, has been balancing the midfield with great success. Isaac Tatchoum (born 29.08.1982) has been a key player at defensive midfield the last couple of seasons. Panthère Sportive recently signed attacking midfielder Wilfrid Etondo, formerly of Diables Noirs Brazzaville from Republic of Congo. Joseph Kajo Kameni (born 21.10.1988) is a quality winger, comfortable both on the left side and the right side of the midfield. Kameni, who starred for Unisport FC last season, is a skillful, hard-working player with tremendous speed. Ngampiep Vigny Kologni (born 27.11.1983) is arguably the star player of the team and the current top scorer with five goals. Kologni is a burly left-winger or striker who loves to dribble. Ernest Thierry Anang, most likely born in 1993 or 1994, is a powerful, tall striker with great speed. The skillful Edouard Nlo Eya, most likely born in 1990 or 1991, is another interesting newcomer, apparently signed from Olympic Club Kinshasa from the Democratic Republic of Congo. Eya has scored two goals in the three latest matches. Ronald Fongang Kana or Ngueyou Miguel Kamwa (born 01.11.1988) could also score goals up front. I would also like to recomment the excellent new homepage of Panthère Sportive: http://pantheredunde.com/. This is actually one of the best homepages of West African teams I have ever seen. The picture is of Ngampiep Vigny Kologni and was found on the webpage. FC Abuja, based in the capital city of Nigeria, last played in the Nigeria Premier League during the 2008-2009 season. At the time, the key players were Anthony Ujah (1. FSV Mainz 05, Germany), Dele Olorundara (Sunshine Stars FC) and Ifeanyi Okoye (Enyimba FC). According to http://www.nigerianationalleague.com/, FC Abuja ended the season as number 6 of 9 teams in “Division A” of the Nigeria National League 2012. The club scored 11 goals during their 16 matches. I’ve been able to find the scorer of eight of these goals. Awalu Mohammed, who I believe is a key player, was part of the FC Abuja team that played at top level in 2008-2009. In March 2011, Mohammed was banned for almost a year by the Nigeria Football Federation, apparently for indiscipline. His teammate Avoka Agboyi received the same ban but has been a regular starter for FC Abuja during the Nigeria National League 2012. Agboyi was actually part of the Nigeria B national football team during 2009. Austin Igenepo, another key player, was part of the Nigeria U-23 national football team during 2011. According to Daily Trust, Christopher Utung joined Rangers International FC before the current season. As far as I know, this transfer never took place and I believe Utung is a key player for FC Abuja. In February 2012, Felix Yakubu and Emmanuel Isa, both players of FC Abuja, were named in the squad of the Nigeria U-17 national football team. Felix Yakubu is an unknown player to me but Isa scored at least one goal during the season. In general, it is very difficult to find information about the players of FC Abuja. I have been able to find the following players in addition to the ones already mentioned: Chibuzor Anyanwu, Godwin Bemshima, Richard Onunaku Nnadozie, and Justice Zacharia. I also have a theory that Friday Achimugwu, formerly of Akwa United FC and Lobi Stars FC, is the goalkeeper at the club. 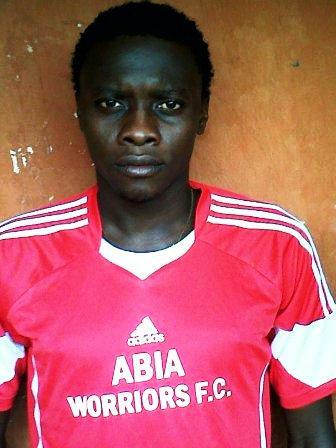 * On 04.07.2012, Abdulrahman Bashir of ABS FC scored his 12th goal of the season. Bashir has been described as a petit, hard-running striker with a massive work-rate. According to SuperSport, Bashir and his teammate Bright Esieme, the right-back who played for Abia Warriors FC last season, are on the radar of top club Kano Pillars FC. * Edo Nnamso is an interesting player at Akwa United FC. Nnamso, popularily called “Cameroon”, is a right-back or right-winger who has been captaining the team during the season. Nnamso is known as an expert from set-pieces and his free-kicks are top shelf. Nnamso has scored four goals so far this season. * Abdul Ajagun (born 10.02.1993) of Dolphins FC is currently in top form, having scored four league goals so far this season. Earlier this week, Ajagun returned to the squad of the Nigeria U-20 national football team. Ajagun has previously played for Nigeria in the 2011 FIFA U-20 World Cup and the 2009 FIFA U-17 World Cup. Ajagun has been described as a dynamic, free-moving attacking midfielder, who loves moving forward into dangerous positions. * Dolphins FC has struggled in front of goal this season and hopefully, the signing of Ortega Deniran (born 28.05.1986) could put an end to the problems. Deniran has an impressive CV and has scored goals in Guatemala, China, Bulgaria and Armenia. * Uche Kalu (born 16.05.1986) is arguably the best striker at Enyimba FC but his goalscoring record in the Nigeria Premier League has never been impressive. As far as I know, Kalu has never scored more then five league goals during a season, which happened in 2007. Kalu is a strong, hard-working player who is on the fringes of the Nigeria national football team. So far this season, Kalu has scored two goals. To be fair, Kalu has been struggling with injury throughout his career, which could explain the lack of goals. 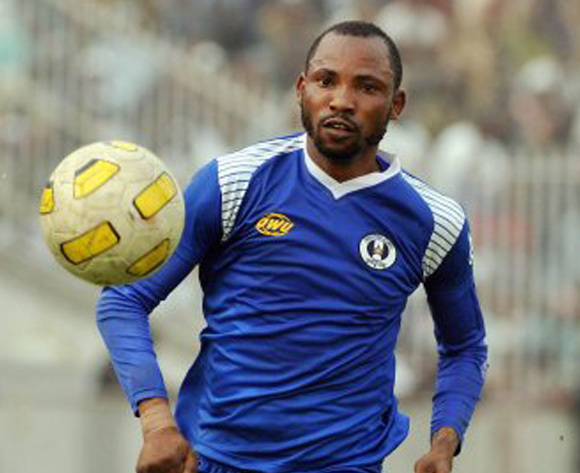 * Sani Sanusi of Gombe United FC had eight goals per 07.04.2012 but needed almost 11 weeks to score his ninth. Sanusi, formerly of Zamfara United FC, has now 11 goals to his name, one more than teenage sensation Mustapha Babadidi who has been injured since March / April 2012. * Attacking midfielder Austin Ekpoma (born 01.08.1991) of Gombe United FC has been wonderful lately. Apparently, Ekpoma has played 28 matches and scored six goals so far this season. Ekpoma is a former player of Zamfara United FC and Niger Tornadoes FC. Ekpoma forms a strong midfield with the experienced Manu Sunday Gidado and Alhaji Kwairanga (born 28.12.1987). * Veteran midfielder Chidozie Johnson (born 06.03.1983) has joined Heartland FC. Johnson, the former captain of Enyimba FC, started the season at Warri Wolves FC. * Big, powerful striker Mohammed Gambo (born 10.03.1988) of Kano Pillars FC has scored 12 goals so far this season. His partnership with Mannir Ubale (born 02.07.1991) has been sparkling lately. The clip also shows great goalkeeping from the brilliant Kazeem Yekeen (born 01.12.1992) of Kwara United FC, clever play from Gomo Onduku, the star player of Sharks FC, and a thunderbolt shot from his teammate Hope Fiberisima (born 17.09.1990), a defensive midfielder with physical strength. 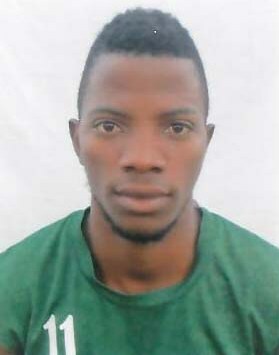 * Niger Tornadoes FC has signed goalkeeper Mustapha Salihu (born 01.12.1987), formerly of Kwara United FC. Salihu played for Tornadoes during the Nigeria Premier League 2007-2008. His teammate Sibi Gwar (born 09.09.1987) is still top scorer in the league with 14 goals. * Okiki Afolabi of Shooting Stars FC could be a player to watch. The talented winger has been training with the Nigeria U-20 national football team lately. However, the player of the moment at 3SC is left-back Mutiu Adegoke (born 10.02.1984). The experienced Adegoke has scored seven goals so far this season, most of them from free-kicks and penalties. The left-foot of Adegoke is arguably the best in the league. The picture is of Adegoke and was found on MTN Football. * Sunshine Stars FC has apparently signed the talented Cameroonian midfielder Mario Williams Elimbi. Elimbi is a former player of Tiko United FC and Mount Cameroon FC. Abia Warriors FC is based in Umuahia, the capital of Abia State in southeastern Nigeria. These days, Abia Warriors FC is perhaps most known for producing a couple of interesting players, currently at top level side ABS FC, namely goalkeeper David Walbe, defender Bright Esieme, midfielder Kingsley Onovo and striker Andrew Abalogu (born 03.10.1992), as well as attacker Peter Onyekachi of Rising Stars FC. According to the official homepage of the Nigeria National League, Abia Warriors FC ended the season as number 2 of 9 teams in “Division D” of the Nigeria National League 2012. The club scored 17 goals during their 16 matches. I’ve been able to find the scorer of 13 of these goals. There are several interesting players at Abia Warriors FC. Central defender Chima Kingsley Uluocha (born 28.07.1992) is arguably the star player at the club. Uluocha was part of the Nigeria U-20 national football team for the 2011 African Youth Championship in South Africa. Uluocha, who is often captaining the team, is a versatile player who scores regularly despite mostly being used in defence. During the Nigeria National League 2012, he scored at least two goals. According to unconfirmed sources, Uluocha scored nine goals the season before. The picture is of Uluocha and was found on http://www.abiawarriorsfc.com/. This is the official homepage but it is unfortunately not very updated. Other key players are Angelo Aguimo, Mohammed Ahmed Garba, who I believe is a defender or midfielder, Christian Olong and Jack Solomon. Solomon scored at least two league goals during the season while Garba scored at least one goal. Ijeh Agbo and Chimezie Okoro, formerly of Rangers International FC, are apparently the top strikers at the club. Both players scored at least three goals during the season. Torty Ogbonnaya is another interesting striker and after 7:40 in the following clip, you will see a goal scored by him: http://www.youtube.com/watch?v=FoBS6RMUQnY. Other players I have found that is rather unknown to me include Francis Ojukwu, Kabiru Momoh, formerly of Bendel Insurance FC, Ndubuisi Kingsley Nwokocha (attacker), Nelson Ogbonna, Obasi Okoro, Joseph Onuoha and Agbo Ugochukwu. Abia Comets FC is based in Umuahia, the capital of Abia State in southeastern Nigeria. The club won promotion to the second level of Nigerian football before the current season. According to http://www.nigerianationalleague.com/, Abia Comets FC ended the season as number 4 of 9 teams in “Division C” of the Nigeria National League 2012. The club scored 18 goals during their 16 matches. I’ve been able to find the scorer of 13 of these goals. Godwin Idemokon, also known as Godwin Idemokon Uduak, is arguably the star player at the team. Idemokon has scored at least five league goals. The Iboro Akpakpan, formerly of Ocean Boys FC, is apparently first choice goalkeeper at the club. I’m assuming the top level experience of Akpakpan is valuable to the team. Attacker Ebube Okpokwu, formerly of Akwa United FC and Gateway FC, has also played in the Nigeria Premier League. Okpokwu scored at least two league goals during the season. Daniel Ogenyi is a key player in defensive midfield. Ogenyi scored at least one league goal. Beside the mentioned players, it is very difficult to find information about Abia Comets FC. I know they have a player called Uzoma Enwereuzo, a player called Okoro Okoro and a player called Reuben Uche, but I do not know anything about these players. Okoro scored at least two goals during the season.